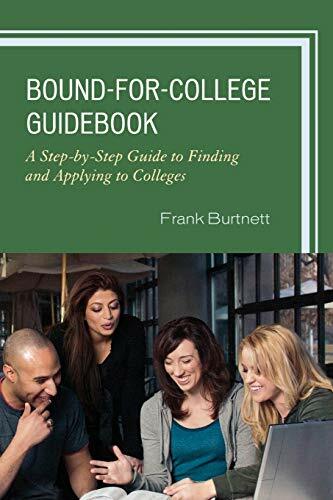 The Bound-for-College Guidebook offers information about the school-to-college transition in an organized and reader-friendly approach not found in any other guide. Frank Burtnett has assembled frequently asked questions and their answers from counselors who understand what students need to know during the exploration, decision-making and application process. The student exercises contained in the guide allow each reader to strategically organize the search and application process and operate from a position of power and control rather than one of confusion and bewilderment. Armed with this information and skilled in these exercises, the college-bound student is better able to navigate this important transition. Frank Burtnett is president and principal consultant for Education Now, an independent consulting firm focused on helping people with the school-to-college and school-to-career transitions. A former executive director of the National Association for College Admission Counseling, his career experiences have found him working in schools, colleges, agencies, organizations, and the private sector.